How to Slipcover DVD Giveaway! This chair is so fun and gorgeous! 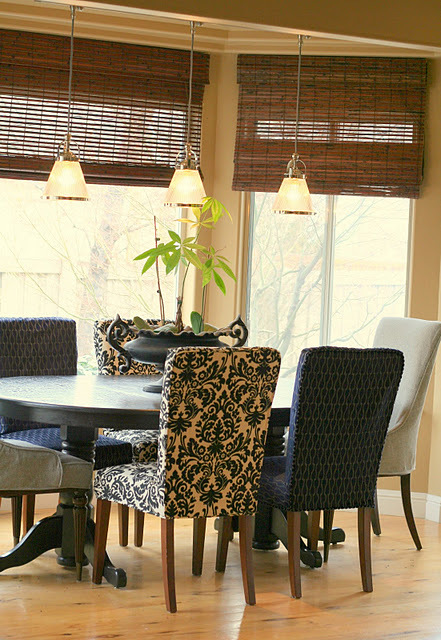 I love how she did all these dining room chairs in different fun fabrics. Now HERE is a project! This would take me forever! And you might recognize this one…she did Jen’s (of Tatertots and Jello) slipcovers too! Love these. 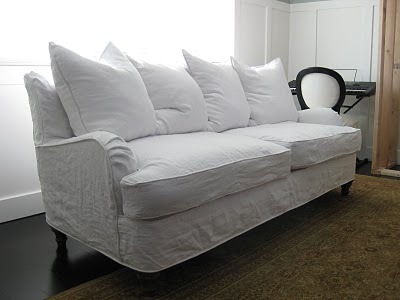 So are you inspired to try your own slipcover but still feel nervous about the attempt? Shelley has created this amazing DVD with step by step instructions on How to Slipcover!! It’s a great resource to have for anyone who wants to learn. And Shelley is giving one of her coveted DVDs away today! It’s valued at $49! Leave a Comment telling me what you would like to slipcover! AND if you just can’t wait to see if you win, you can purchase this DVD for 15% off today through Wednesday! i have an old (but still VERY comfy) couch I’d like to cover…oh and if I get good at it…maybe cover my hubby’s recliner – yes! I would love to slip cover some chairs for my living room and maybe a little loveseat for my bedroom. I would cover my husband’s ugly winged-back chair in the living room. It has great bones and has barely been sat on at all, but the design is just not my style. at all. oh the joys of marriage and sharing furniture! I would love to recover our family room sofa. It is a good Thomasville sofa but has definitely seen its better days – in fact it is pretty sad looking. 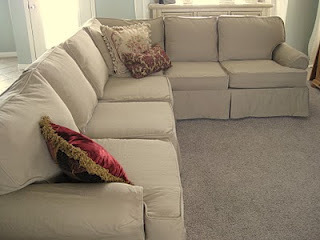 I would love to slipcover it as the basic sofa is in good shape – but I am lacking cofindence to try this project. I need some help!! ooooo I would definitely cover the chair and ottoman in our living room. It used to have a pretty print… now it’s covered with dirt, fingerprints, and baby desitin! I have a wingback chair that is screaming for something new! Slipcovering, though, just seems to intimidate me to no end….would love to win this DVD! I have liked her on FB for a second chance! I’d love to tackle a wing back chair that I have and some dining room chairs like you pictured for my mother. We’d both be very happy! My parents just recently gave me my grandma and grandpas beautiful love seat. It’s an antique so I don’t want to reupolster it but it can’t be left as is!! I’d love to slipcover a chair in our bedroom. It was clawed by our cat and when he died we had it reupholstered. Then we rescued another cat and she clawed it up again…she died of intestinal cancer last spring and we have no plans of getting another cat anytime soon since we have three kids and it’s pretty chaotic at times. Now would be a good time to make the chair presentable. I would love to slipcover some of my furniture, a chair in particular. I don’t have anything yet, but we have been looking for some used couches, that when I find them, I wouldn’t have to worry about what they look like, just as long as they are comfy, I would be able to recover them…. the last photo you posted (denim couch) that is what I need to cover-2 couches and a love seat!! I need to slipcover our sectional, we got it in a pale green before our daughter was born. Needless to say, you can definitely sense her presence now, lol. I would love to slipcover my nursing chair when it can be repurposed as my reading chair. I’d love to cover my living room couch and love seat. I have a wing back chair that I would love to cover. And Shelly truely is incrediable!!! I want to slipcover our couch in white. 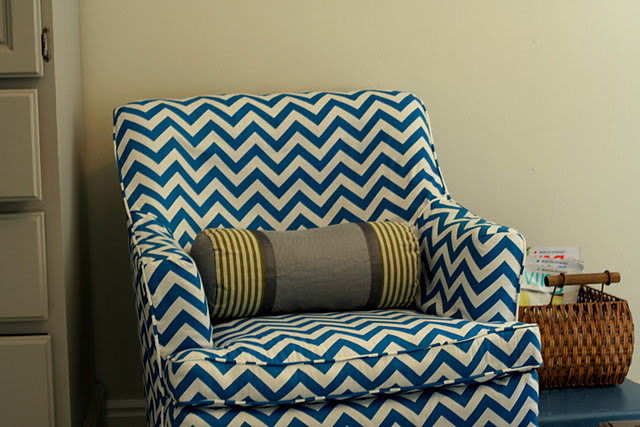 Love Shelley’s blog, she definitely can slipcover anything! Hi, I would love to re-slip my couches. I made them over over a year ago and while they are ok, I would have loved to have added piping, made some pleats, all of which I have no idea how I would do. Thanks for the giveaway. I also follow shelley on facebook. I would slipcover my couch in my living room. It is old and in need of a makeover. I have a couch that’s about 11yrs old. It’s an olive green. And while I love green I’m pretty sick of looking at that! I’d love to recover it in a more neutral fabric so that I can add some fun pillows 🙂 I’ve been putting off the recovering project because it’s a bit (ok, very) intimidating! I have so many things that I would love to recover!! The most urgent would be a LazyBoy glider that my son bought me at an auction. It has the most hideous fabric choice on it that I have ever seen, but is the most comfortable chair that I have ever set on. I can’t wait to try to recover it and see how beautiful it can be. It would be like the transformation of the Ugly Duckling!! I just “liked” her on FB!! Would love to cover my family room couch!! I would love to win this DVD…I have the ugliest couch ever and no funds to buy a new one. I “like” Slipcovers by Shelley on Facebook! Oh my gosh!! I need this DVD!! We’re moving to a new house with a HUGE living room and our current furniture isn’t big enough so I’m looking at second-hand stores for couches. Since I don’t live anywhere near Shelley, I’d be able to make them super cute with the DVD. I have very large awkward living room and very fancy dining room chairs. As years pass, I really need a new slip cover for my chair and sofa in the living room and I just inherited a dining set with carved wood that I would like slipcovers on to protect from dust, drying, sunlight, ect. Winning this DVD is JUST what I need! Brand new home with LOTS to re-cover!!! I would so love to have this. I have been trying to check out books from the library to learn how to slipcover, but the selection is limited. I am also liking on facebook. Love the photos, perfect for inspiration. I really need this. My couch has a pottery barn slip on it and I hate it! Having that DVD would give me the courage to do one myself! Thanks for the chance to win! I’ll be slipping a loveseat as soon as the contractors get out of my house. eager to start! I want to slip-cover our family room couch! It is really dark & needs a change! I liked Slipcovers by Shelley on Face Book. I want to slipcover leather recliners my big dogs have dug up with their nails. So much for leather’s durability. I liked Shelley’s Slipcovers on Facebook. I would like to slipcover my sofa and loveseat. Thanks to my husband’s new border collie, we can use a new fix!!! I’d like to slipcover my army green couch and love seat! Every time I see one of Shelley’s slipcovers, my jaw drops. Amazing skills, and I want to learn! I have a sage green sofa with two reclining seats that I would LOVE to slipcover…the green is nice enough, but it’s limiting my wall colour choices! I’ve been following Shelley’s blog for a while, but now I’m watching on facebook too! I have some OLD wing chairs that are in desperate need of slipcovers! I’m determined to slipcover my couches in white just like yours! Also just liked Shelley’s page on FB! Yay! I want to slipcover my couch in my living room badly, but I have no idea where to start! Thanks! I’ve got a couple of inherited wing chairs I want to recover. I was totally inspired by your reveal, but a DVD would just be the bee’s knees. I’ve been trying to get up the courage to slip cover a club chair & hope this DVD would finally push me into doing it. Thanks for the giveaway! I need to make a slipcover for a large sectional couch and a hide-a-way couch. Thank you for the opportunity. My parents have some couches that need it badly! I’d put a clean-lined slip on our camel-back loveseat. It’s well made and comfortable but bears the scars of several cats (and kids). I’ve love to hide those shredded corners and give this piece a longer life! Shelley does meticulous work. I’m in awe of her skills. I have been wanted to make a slipcover for my 1950’s sofa. Love the lines but hate the fabric. 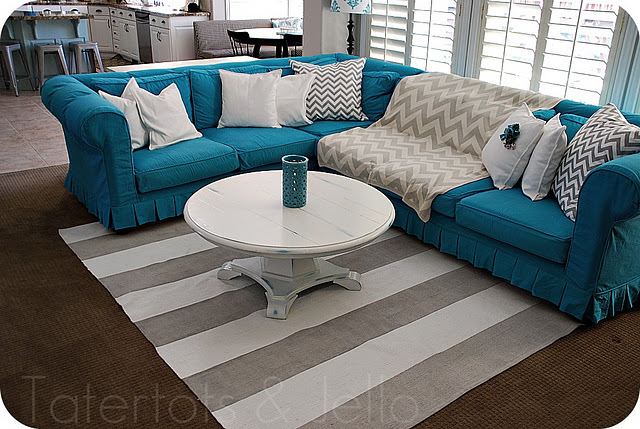 I want to be able to make a slipcover like Shelley does!! I’m a bit of a perfectionist and Shelley’s slipcovers are perfect. I’ve got a mammoth sectional that I’m afraid to take on and a smaller squarish chair that would be a good starting slipcover project. Thanks for the give-away. oh how I need to get this DVD! The first thing you see when you walk in my front door is my lovely (cough, cough) floral sofa. I’ve been wanting to reslip it for a while now! Your’s turned out beautiful, thanks for the chance to win! My fiance and I have 3 very old, very used couches that still have a lot of life in them, but lets face it… They are dirty and ugly. I clean then with an upholstery cleaner at least once a week because our dog likes to sleep on the couch at night (and lick the cushions YUCK!!). I would love to be able to make my own slip covers that I can just take off and wash with the laundry every week or every other. I just don’t know where to start with the whole process of making a slipcover!